There can be no doubt that mobile technology has completely changed the way we interact with the world. It has also had a major impact on nearly every industry from agriculture to e-commerce. The healthcare industry is no exception. There are a number of ways that medical grade tablets are changing the way healthcare can be administered and improve patient outcome. Until not that long ago, patients had to travel to healthcare facilities in order to receive care, but those days, where the patient was required to go to the doctor, are over. Here are just a few ways in which mobile technology is bringing medical care into “the field” and is saving lives. The concept of home healthcare is nothing new. Homecare nurses have been around for decades. But for a long time, their job involved following a set routing that included excessive paperwork and double entry upon returning to their office. None of which alleviated the fact that if the patient needed to see a doctor, they still needed to go into an office. Medical tablets have changed all of that. Homecare providers can easily take vital signs and enter them directly into the tablet. Thanks to WiFi and LTE connectivity, that patient data can be uploaded into an ERM system in real time, eliminating hours of paperwork and reducing the risk of human error when transcribing data. Most importantly, telehealth consultations with physicians can happen remotely. Doctors can teleconference with a patient, examine them through the webcam and even change treatment plans on the fly with a homecare provider right there to help answer questions. Homeless and displaced populations are at the greatest risk to fall through the cracks when it comes to healthcare. It can be extremely difficult for these individuals to make it to free clinics for treatment, and it is almost impossible for them to keep track of their own medical records. Rugged medical tablets can make a massive impact on these people’s lives. First off, the rugged nature of the devices allows them to be brought into the streets and other areas that might cause severe damage to a regular mobile device. Accidental drops on pavement or inclement weather could destroy a regular tablet, but wouldn’t slow down a rugged medical tablet. Once in the field, healthcare practitioners can easily sign up and register homeless populations for government aid programs. Their records can be recalled at later dates from the tablet. Ailments, treatments and even medication information can all be stored in EMR software accessible from the tablet to provide consistent ongoing treatment for an entire population of people that might otherwise be forgotten. There is no question that EMTs do an incredible job of administering critical care to patients in route to a hospital. Whether it be a gunshot wound, allergic reaction, or something like a heart attack, the work that these individuals do is essential to achieving positive outcomes. Once an ambulance arrives on scene, it is the EMTs that provide nurses and doctors with the information they need to continue treatment. In some cases, this transition can literally mean the difference between life and death. Medical grade tablets in an ambulance, connected to an Emergency Room intake, can easily be used to transmit vital signs and other readings to a hospital in real time. EMTs can take pictures or videos of wounds and injuries for doctors to evaluate while the patient is still on the way to the hospital. This allows for ERs to be better prepared for when the patient arrives and helps to smooth out the transition from ambulance to ER, improving patient outcomes. Mobile health clinics and blood banks have become more and more prevalent over the years, and medical tablets go a long way toward making these facilities more efficient. Preventative medicine is designed to keep small problems from becoming large problems. Unfortunately, a number of people don’t seek out medical care for minor issues for a number of different reasons. Multiple studies have proven that mobile health clinics (MHCs) have much higher instances of people agreeing to health screenings over brick and mortar clinics. The same goes for patients reaching out to receive pre-natal care. Even something as simple as a flu shot can help improve the overall health in a community. We also see a much higher need for blood after natural disasters and other tragic events. Mobile blood banks can go out into the community before these things happen and collect donations to bolster supplies and prevent shortages in times of need. All of these things can be easily facilitated with medical tablets. 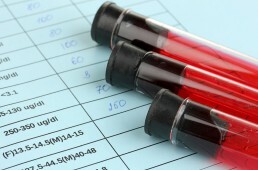 A medical tablet with a barcode scanner can help keep blood donations organized by blood type. Donation information can be scanned and stored in the tablet removing all risk of human error. Patients can be quickly registered at MHCs and insurance information can easily be recorded using a medical tablet. Eliminating paper processes helps to ensure the speed and efficiency of these mobile clinics, making it more likely that people will return in the future. There are countless ways that technology is changing how healthcare is administered. Cybernet is at the forefront of innovation with our medical grade computers and tablets. For more information on how we can help you create a custom solution for your unique needs you can contact us here.